John de Kadt is an internationally acclaimed percussionist, poet, and storyteller. John plays ethnic percussion instruments from across the globe and has a passion for spoken word, whether it’s in poetry, song, rap, or story. John is also well known for his mellow, instrumental, healing arrangements. 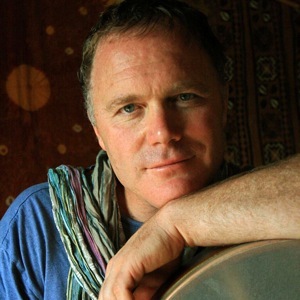 He plays with kirtan artists worldwide and is a founding member of the well-known devotional group The Hanumen. Motivated by a love of the earth, community, and wisdom traditions, John’s poetry and story stirs the heart and awakens us towards a remembrance of ourselves and the wildness of the natural world. His sixth album, Speak, was just released in fall of 2016.